Other names: Pursh Plantain, wooly plantain. 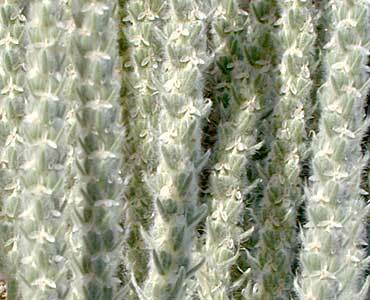 Notes: Flowers spaced on wooly, bracted spike.4 narrow, pointed petals, buff with brownish tinge toward center. 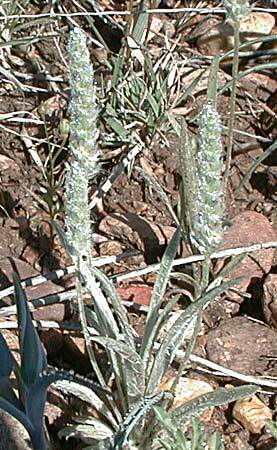 11 species of Plantago in Arizona.